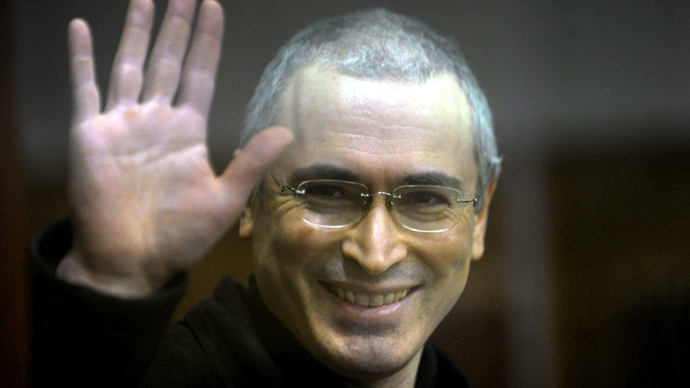 Mikhail Khodorkovsky has issued a statement saying that he asked President Putin for a pardon for “family reasons” and is glad “there has been a positive decision.” It comes as the ex-oil tycoon arrived in Germany after being released from jail. However, he stressed that the issue of admission of guilt was not raised. 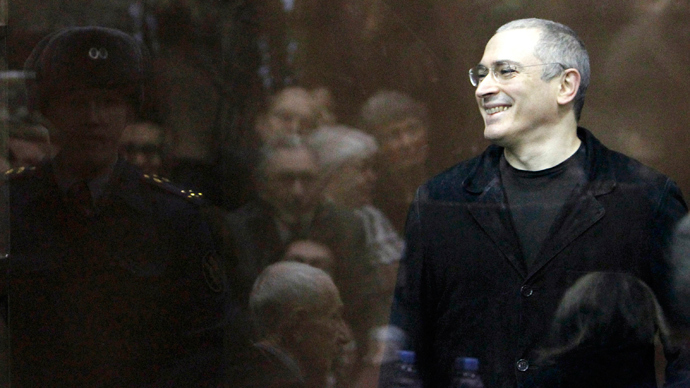 Khodorkovsky said he had sent his appeal plea to President Putin on November 12. Russia’s President Putin signed a decree pardoning Khodorkovsky on Friday afternoon and it came into force right away. He announced a pardon for jailed Khodorkovsky “in the nearest time” following a large media conference in Moscow on Thursday. Putin had repeatedly stressed the presidential right to pardon prisoners can only be used after a plea from the convict is submitted. Putin said that the decree was “guided by humanitarian principles”, in particular, his mother’s ill health – Marina Khodorkovskaya is now being treated for cancer. 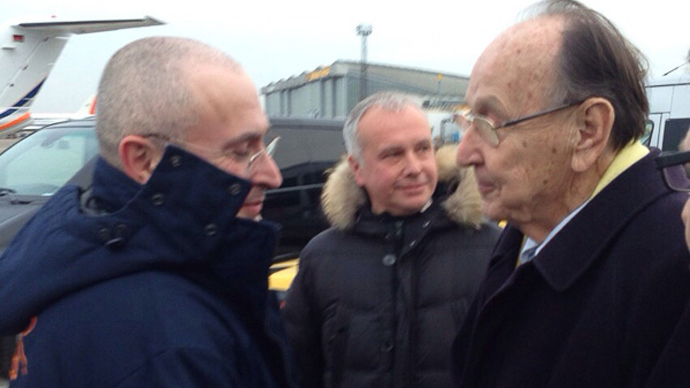 Hours after release from jail in Russia’s Karelia region, Khodorkovsky landed in Berlin, where he was personally welcomed by former German foreign minister Hans-Dietrich Genscher. He has confirmed that he personally picked up the former tycoon at the airport, German local media reported. Genscher, who has been involved in securing Khodorkovsky’s passage to Germany, has described the pardon as "significant and very encouraging". The German government has also welcomed Khodorkovsky’s release. Khodorkovsky has given special thanks to Genscher “for his personal participation in my fate,” as well as all his supporters. “I would like to thank everyone who has been following the Yukos case all these years for the support you provided to me, my family and all those who were unjustly convicted and continue to be persecuted. I am very much looking forward to the minute when I will be able to hug my close ones and personally shake hands with all my friends and associates,” says the statement which has been published on Khodorkovsky’s press-secretary's Facebook page, as well as the Facebook page of Khodorkovsky & Lebedev Communications Center. But for now, the main priority for Khodorkovsky is his family, he said. Khodorkovsky’s son Pavel is heading to Germany from the US, where he currently lives, Russian news agencies reported, citing “a source familiar with his plans”. Khodorkovsky's father, Boris, has told to AP he and his wife Marina will fly to Germany on Saturday. “We don’t know anything about his specific plans, besides that he wants to stay with his family and spend holiday with them,” former oil tycoon’s spokesman, Olga Pispanen, has told RT. She has confirmed that Khodorkovsky himself is going to stay in Berlin for some time. However, it is still not clear if Khodorkovky will celebrate the New Year in Berlin or, as a free man now, will chose another location, she stressed. As for plans for the future, Khodorkovsky, as he has been saying in interviews before, is going to be involved in public activities, Pispanen added.